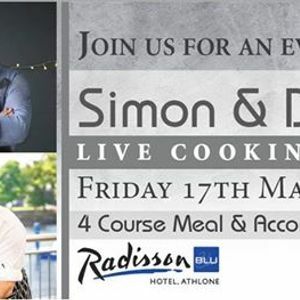 A cooking event you wouldn't dare miss! Simon and Dean will be answering YOUR questions. Send in your questions ahead of time by emailing aW5mbyAhIGF0aGxvbmUgfCByYWRpc3NvbmJsdSAhIGNvbQ==. Call 090-644-2600 and get your tickets today!